Breast augmentation is a cosmetic surgery that uses saline or silicone implants to increase the size or volume of a patient’s breasts. For women who are physically healthy overall but feel bothered by the small size of their breasts, dislike the way their breasts have changed after pregnancy or weight loss, have an asymmetrical chest or are otherwise dissatisfied with the way their breasts look and feel, it can be a good option for enhancing confidence and creating a balanced, proportionate figure. Breast augmentation may be performed on its own or in conjunction with a breast lift aimed at correcting sagginess or drooping. At our office, we offer different implant types depending on patient preference and a consultation with Dr. Potyondy. This includes the Sientra® Cohesive Gel Implant, more commonly known as Gummy Bear implants, which are made up of and FDA-approved high strength gel that closely matches the look and feel of natural breasts. 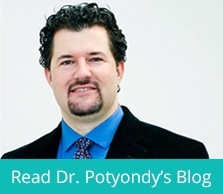 Sientra implants are only available to board-certified plastic surgeons like Dr. Potyondy. We also offer implants manufactured by Mentor. After a consultation discussion with Dr. Potyondy of what a patient is hoping to achieve from a potential surgery, including a look at medical background, family medical background and current health status, it is possible to move forward with surgery. Administering Anesthesia: Whether it is intravenous sedation or general anesthesia, some form of pain medication will be necessary before a patient undergoes a breast augmentation. This will keep the individual comfortable during surgery. Making the Incision: Dr. Potyondy makes an incision in an inconspicuous area in order to minimize future scars. The exact location of the incision will depend upon the type of implant being used, how much enlargement is going to be done, the patient’s unique body type and any preferences on the part of the patient or the doctor. This may mean a periareolar incision (made just below the lower half of the areola, following the curve of the breast), an inframammary incision (made where the lower half of the breast meets the chest wall) or a transaxillary incision (made in the natural fold of the armpit), depending on what the surgeon decides. Placing the Implant: Once the incision has been made, an implant gets inserted into the created pocket either under or over the pectoral muscle. How exact the implant will be positioned depends on its type, the level of enlargement being done, the patient’s body and the surgeon’s choice. Closing up the Site: Dr. Potyondy then closes the incision with sutures in the breast tissue, possibly along with skin adhesive or surgical tape. After the augmentation procedure is finished, the patient will remain under observation for a short time in order to ensure everything has gone smoothly. Most women are able to go home the same day, within a few hours after the procedure is done. Before heading home from surgery, a patient will receive instructions about caring for her healing breasts, taking medications, avoiding infection and when to come in for a follow-up visit. If properly followed, these instructions can speed up healing as well as procedure satisfaction. Most women will need to reduce activities and rest for the first 24 to 48 hours after surgery but be able to resume normal lifestyle habits after that. Likewise, soreness and swelling should be fully gone within a few weeks, and strenuous activities can resume after a physician has given his or her okay. Even right after surgery when the patient has swelling and incision lines, she will be able to see results from the augmentation right away. And, after she fully heals, satisfaction should only improve as she finally achieves the look she’s hoped for and desired. Patients need to plan for regular checkups, usually at least once a year, to monitor implants and know when they might need to be replaced. While breast augmentation is highly effective and empowering, it is not made to last indefinitely. Time, changes to weight, changes to hormones and other factors can affect the implants—but, nonetheless, the results of breast augmentation can be incredibly powerful.